Niagara Falls, one of the most well know breathtaking attractions you’ll ever see, is just 1.5 hours from Toronto. 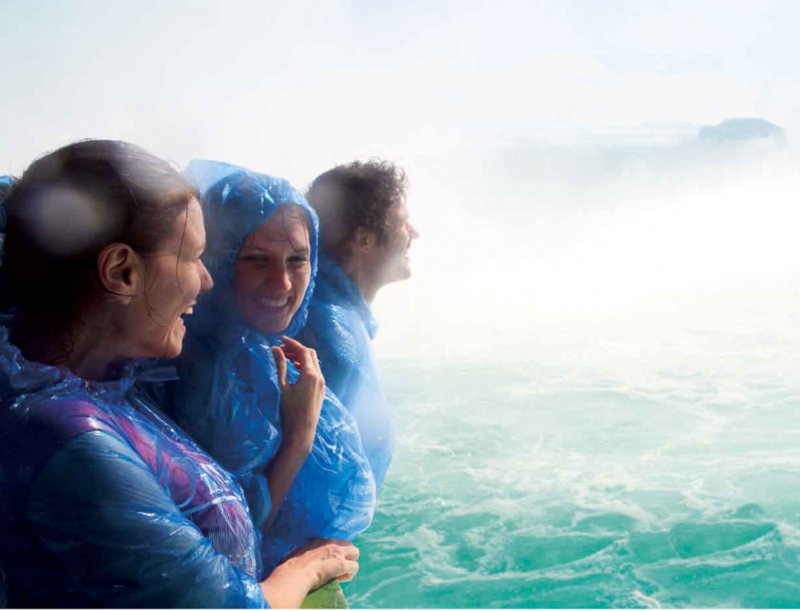 The Niagara Falls Tour is a full day tour. King Tours will pick you up from your hotel lobby, or residential address in Toronto, between 8:10 am to 8:50 am, and you will be on your way to Niagara Falls at around 9:15 AM. We expect to return to Toronto at around 6:30 pm, so if you are planning on making dinner reservations after the tour, we recommend to make them after 7pm. We will give you a waterproof poncho to keep you dry. 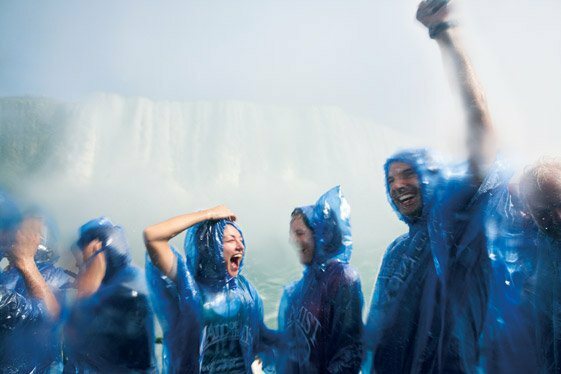 The premium full-day tour of the Falls starts with your hotel pickup between 8:10 and 8:50 a.m. On our first stop we’ll have time to explore Niagara-on-the-Lake. Niagara-on-theLake is a picturesque town just a few minutes drive outside of Niagara Falls. You’ll enjoy 40 minutes taking pictures and exploring some of the unique shops. 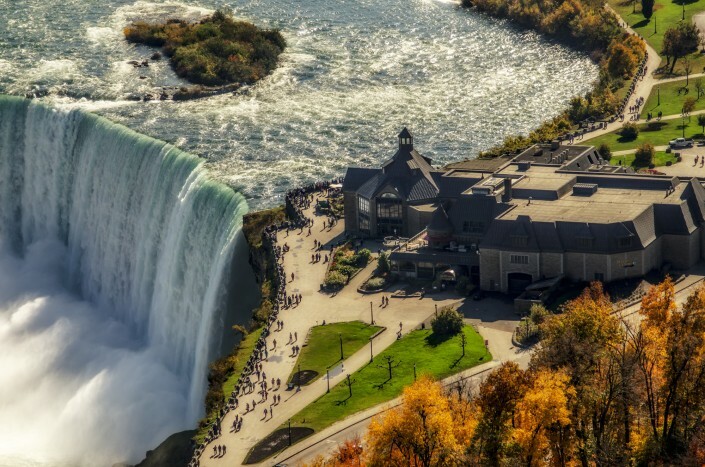 Before you actually reach the Falls, we’ll also see the Floral Clock, Niagara River and whirl pool, Sir Adam Beck Power Station, Queenston Heights or other seasonal points of Interest. Our licensed Niagara Falls Tour Guide will point out all the interesting sites and inform you about the history of the region. 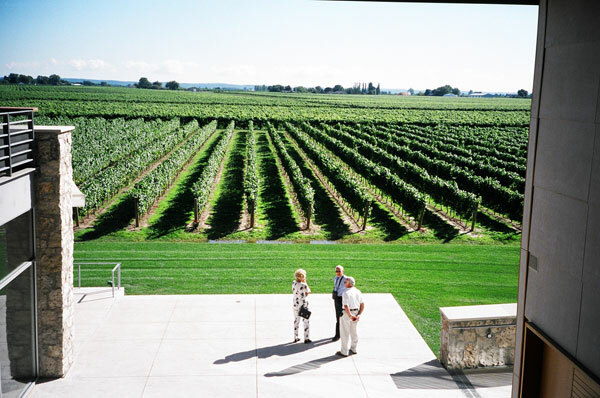 During the day, we will make a stop at one of Niagara Falls’ famous wineries. There you will have an opportunity to sample a wine (on us) before continuing our Niagara Falls adventure. The tour is structured to give you 2-3 hours of free time at the Falls. This gives you plenty of time to add in additional activities you want to do, plus stop for lunch, which is on your own time and budget. Did you book your Hornblower Boat Ride option; Niagara Falls’ #1 attraction? Because King is a registered tour operator, we will be processed through a quicker Hornblower Boat Ride queue, avoiding the long General Public line. After and exciting day, enjoy the return trip to Toronto, recant the day’s memories, and use our free wifi to post pictures of your adventure. Our tour bus will drop you back at your hotel doorstep around 6:30 pm. If instead you wish to be dropped off at an attraction like the ACC or the CN Tower, just let our tour guide know. The 20% discount will be applied during payment.